Pulse oximeter use in surgery. 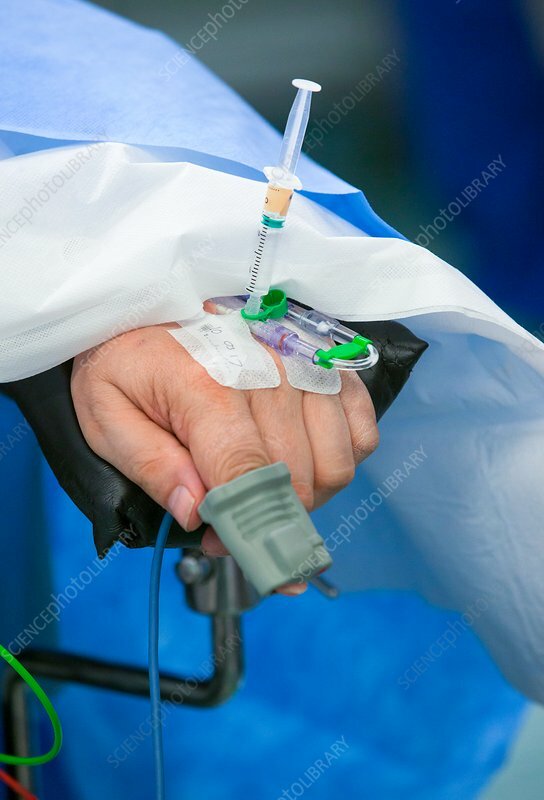 Close-up of a catheter and syringe being used to deliver drugs, with a pulse oximeter on the patient's index finger. A pulse oximeter, also known as a blood oxygen meter, measures the pulse rate and oxygen concentration of the blood. It measures the oxygen concentration by measuring the absorption of light as it passes through the fingertip. Photographed in the UK.